WEBINAR Presentation is followed by shareholder Q&A session in which both Rolf and Christian answer the questions. MetalNRG announced that the State Reserve Committee of Kyrgyzstan has granted the application for a mining license dated 22 January 2019 (the “Mining License”) for 3,371.1 tonnes U reserves (8.731 million lbs U308) which has an in-situ value of approximately US$253.1 million at current uranium spot prices. * To date, MetalNRG has supported IMC financially in relation to the Mining License application process. Once Newco is set up and funded, MetalNRG will own at least 51% of Newco (and, indirectly, the Uranium Project). 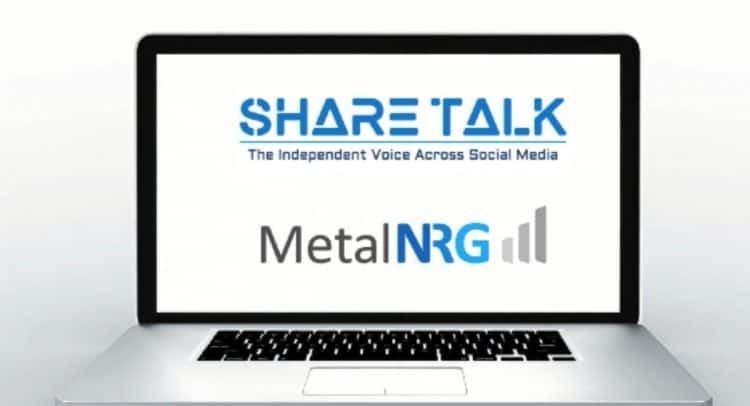 MetalNRG intends to pay a further US$45,000 in the coming weeks. To attain 51% the Company will fund a further US$813,500. the joint venture and the initial transaction completion deadline of 28 December 2018 has been extended. each additional payment of US$50,000 made by MetalNRG to IMC would represent an additional 2.5 per cent of the equity in the capital of Newco. To date an additional US$7,500 has been paid to IMC, posted amended agreement date, bringing the Company’s position to 5.3%, additional payments will be made to secure the mining license. The person who arranged for the release of this announcement on behalf of the Company was Rolf Gerritsen, Chief Executive Officer. The technical information contained in this announcement has been read and approved by Mr Nick O’Reilly (MSc, DIC, MAusIMM, FGS), who is a qualified geologist and who acts as Competent Person. Mr O’Reilly is a Principal consultant working for Mining Analyst Consulting Ltd which has been retained by MetalNRG PLC to provide technical support.